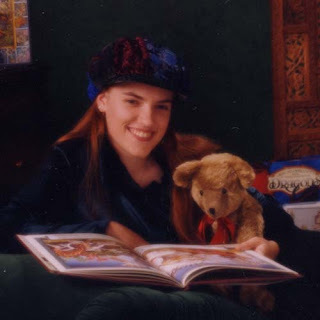 When I was seventeen and a senior in high school, I knew exactly which studio was going to do my senior portraits. It was the same studio who did my siblings’ senior portraits and my uncle’s wedding. Oh! 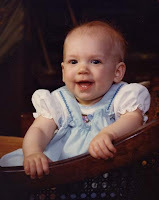 And my siblings in 1979, me and my siblings in 1980, me in 1982, and the list goes on and on and on. The photographers who took all these photos? Why, Haugen’s of course! I was lucky enough to grow up with an aunt and uncle who are amazing photographers. When my sister got married, and then my brother, there were no questions about who was going to do their wedding photography, even though my sister was married at the Grand Canyon and my brother in St. Paul, MN. My mom retained Neil and Miriam for both weddings. This included travel & lodging, of course, as it does for all destination wedding photographers. This seemed completely normal to me, to commission the best photographers to commemorate the most important events in our lives. Then I started working for Neil and Miriam. To my surprise, I discovered there are people who have no idea who to go to for wonderful portraits. They have never experienced fine photography and the joy that comes with having quality art of the most important people in their lives. Now that I think about it, I was extremely lucky to have Haugen’s in the family. You see, my mom is a pragmatic person, and she is not the sort of person who would have normally thought of commissioning personal photographic art. Yet her most prized possessions are the seven wall portraits Miriam and Neil have taken of my family over the last 28 years. Here’s a question for all you trivia lovers out there: How many times have the two Haugen photographers won Best Portrait of a Teenage Boy? 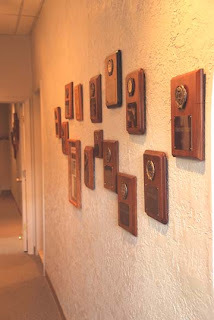 I grew up with Haugen’s (see the article “Growing Up Haugen’s”) but until last week I didn’t have a clue how many awards Neil & Miriam had won. Then I found a box of trophies gathering dust in a corner. A big box. With LOTS of awards. 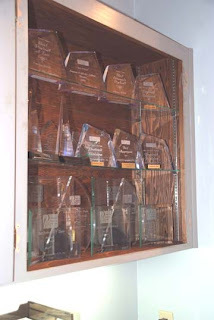 So many, in fact, that we now have a whole display case filled with trophies and a wall covered in plaques. All of these awards are from the Professional Photographers of Oregon and Profession Photographers of America yearly print competitions. Every winter Miriam and Neil review the images they’ve taken in the previous year and choose eight (four per photographer) to send to competition. In 2007 alone, Neil took home the trophy for Best Social Candid Wedding Division while Miriam won Best Teenage Boy and the Fuji Masterpiece Award. Since one of them seems to win at least one trophy every year, I guess I’d better start rearranging the trophy case now! PS: The answer to the trivia question is SIX times.